New video from Matt Cutts: Should I build links using article directories? This week I am testing something new: embedding news from my Google+ stream into this Weekly Marketing Skinny. It helps me to be more efficient. Hopefully, it’ll help you to better interact with, comment on, and share each bit of news as you wish to. Let me know if you like this new format in the comments!  Now let’s start with the news from Traffic Generation Café. Yippie! I finally published my SEO Traffic Guide for non-SEOs. If you want to be found on the web, yesterday’s SEO strategies are simply not good enough today. Problem is today’s SEO strategies might be exactly what will boot you out of Google search engine rankings tomorrow. So how do we, everyday bloggers and online business owners, get a shot at any search engine traffic at all? Is there hope for us, non-SEOs? Click here to find out (will open in new tab). Still on the fence about Google+ comment system on your blog? The New Wave of Domain Names: What Is It to You? In my last Marketing Skinny, I talked about the biggest land rush in the history of the internet – about 1,000 new generic top-level domain names, or gTLDs (the last bit of an internet address, such as the com in TrafficGenerationCafe.com) will come into existence on Feb. 4 or after. What does it mean to website owners? Should we rush in and buy out as many new domain names as we can? +Yaro Starak to the rescue. Now I’ve seen it all…. A White House petition to deport Bieber? I can see why you feel this way, but of course, that’s not true, Steve. Google algorithm relies upon links to rank sites. The problem lies in what kind of links they want to see (or not see) – that’s what changes so often. Much appreciate your email updates. Worst thing I can say about them is I often put off reading as I need clear head space to digest the quantity of detail you provide, let alone act on them. I note an above comment on your not using commentluv, anything changed? I know what you mean, John – that’s why I have dozens of tabs open at a time, with things I’d “come back to read later”, but never actually do. I responded to the other comments about CommentLuv; sounds like I’ll need to write a post about it. I noticed that you don’t use comment luv on site. What happened? I still actually use the backend of it (spam control, etc), but not what made CL CL. Several reasons: too many broken links, plus talked to someone who knows what he is talking about (like personal meeting with Matt Cutts) and he told me to stop using it, both on my blog and on others. I loved your new G+ Embed feature. Actually, you reminded me I needed up update my circles – done and done.